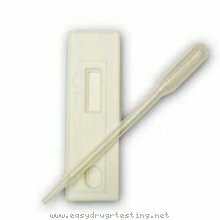 Detox products: Suboxone Drug Test. Pass drug tests, passing all drug test. The Buprenorphine drug test will detect use of Suboxone® This drug used replacement for opiate addiction . Buprenorphine, a derivative of thebaine, provides pain relief and also produces a narcotic high. In fact, Buprenorphine was originally used for pain relief purposes over many years ago. Subutex® is a brand name for buprenorphine in its pure form. Suboxone® combines buprenorphine with naloxone, an opiate antagonist. Buprenex® or Suboxone® easier to eventually stop using.